Ugly Music for Beautiful People | This is the music site of a guy named Ed. I post things. When I was in high school, a friend of mine was an exchange student from Mongolia named Dashka Yagaan. When he went home, he gave me a mixtape of Mongolian pop that he had brought with him. A few days ago I was going through some boxes and came across it. I decided to rip it and share it. I don’t know the titles or artists for any of the songs. I tried SoundHound on my iPhone, but no luck. Back in 2009, I made a mixtape. And then it sat on a shelf forgotten until now. I had just picked up some really cool records on record excursion to Flint, Michigan. So I made a tape of tracks from those records mixed with other stuff I had recently acquired. It was pretty good. 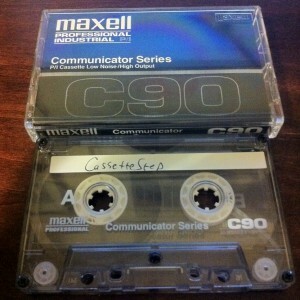 I titled it Cassettestep for some dumb reason. While looking for a pencil, I came across the tape today and decided to rip it. I lost the tracklisting, but was able to mostly reconstruct it. Side A is more of dubstep, rap and dance thing. Side B is rock and folk. I sometimes complain about the Lansing scene. While there are some good bands, they all seem to be either punk, metal or folk. But I recently found somebody doing something different. I recently met this guy named Mike Vasas. He’s a middle school music teacher and musician. He started a blog called Songs Not by Me (http://songsnotbyme.com) where he has been posting a cover every day this year. His song selections are impeccable and the diversity of style in these performances is just mind blowing. Some of them have incredible arrangements or rework the song in really inventive ways. The least of them are still well performed run-throughs of great songs. I still haven’t listened to all of them, as he’s already posted over 300. But of the ones I’ve listened to, here are my favorites. They aren’t really in any order, but my two favorites are at the top. 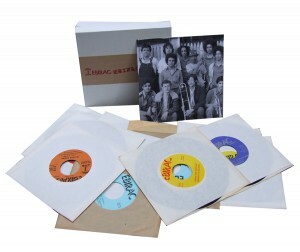 Even though I don’t know jack about Puerto Rican music, I picked up the complete set: 4 LPs and 13 45s. After spending some time with it, I picked out some of my favorites and made this mix. Consider it a taster for the rich meal that Numero will give you when they release the Ebirac compilation. These tracks are crude vinyl rips, the Numero compilation will be remasters taken from the original tapes. Numero doesn’t want me spilling the beans on Ebirac, which I completely understand, so the mix has been taken down. If you want to hear this fire, buy the compilation when it’s released. I’m trying to solve a mystery. A mystery involving 80s Italodisco and underground gay cinema. Which is the best kind of mystery, of course. While digging for rare italo disco vinyls in the archives of a now defunct radio station, a friend of Bottin’s found this reel dated 1984. All we could find on the internet are traces of a mysterious promo pressing (that’s where we got all the credits from) on legendary IL DISCOTTO label. The track seems to have been recorded at Green House, a former recording studio in Padova, Italy – the same city as the radio station’s where it was found! We asked Bottin to make a remix that we put on the B side and the rest is history, literally. Ltd to 750 copies and will not be repressed! It’s wicked awesome, but I wasn’t sure if it was made for the original single or for IDIB’s reissue of the single. It looks retro rather than authentically 80s. The star’s clothes are a big giveaway. Also, the director is listed as Today Versitile, which has no google hits, and the label is listed as Giallo Records. Giallo, huh? Not Italians Do it Better or Il Discotto? Kevin’s (Josh Ubaldi) funeral rockets John (Tim Swain) into the orbit of the flamboyant Solange (Mahogany Reynolds), a b-movie actress/one hit wonder best known in Europe for her roles in 80’s Italian horror movies. Movies with loosely translated titles like Rabid!, Rat Attack and The Ghoul School. Solange was Kevin’s muse. Kevin was Solange’s confidant. Her mysterious, glamorous lifestyle is the stuff of legend to John via Kevin’s prior conversations, emails and wild phone calls. After Kevin’s suicide, John is eager to escape into her world. Seemingly on a whim, she invites John to accompany her to Europe as her Boy Friday. She’s going to work on her guerilla foodie tv pilot “The Un-Tourist Guide.” John accepts the challenge. He’s been in a cubicle temping rut for a few years, and with the death of Kevin he figures he hasn’t got much more to lose. Oops. As John follows her into heady whirlwind romances with cute French pop stars and deadly (but hot!) Milanese model managers, they barely survive murderous performance artists in Paris and fatal gourmet food poisonings in Italy. John begins to realize that Solange’s world is far more complex and dangerous than he could possibly have imagined. Her chosen lifestyle abounds with trips, tricks, and traps. The actress playing Solange is the same woman as the star of the video. And there is a line about her “one-hit wonder from back in the 80s”, “Robots are Un-American”. The website for the movie also mentions original music by William Bottin, who remixed the track on the b-side of the IDIB 12″. I’m pretty sure IDIB is frontin’. This ain’t rare unreleased italo disco. This a new cut by Bottin that is being released as a throwback to fit in with the marketing of The Boy with the Sun in His Eyes. Or just for fun. The song is still ultra-fire, though. 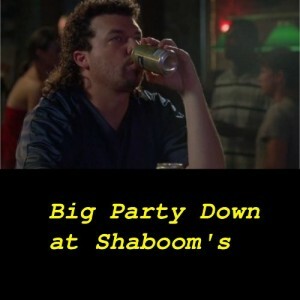 I recently watched Eastbound and Down. This mix is what I imagine would be playing during a big party down at Shaboom’s. Some of the songs would actually be played at bars like that; some of them would only be played at bars like that in heaven. I’ll probably post something before too long. What popped in my head was an image of a man holding a shotgun stepping out of a car with a shotgun in slow motion while the wind whips his tie to the side. So I decided to put together a mix of music that sounded like a soundtrack to a Tarantino film. It starts off all funky and gory, but gets really weird and awkward near the end. 5 million years ago, I did a avant-garde/experimental music radio show on KXUA called Ugly Music for Beautiful People (a name I liked so much, I’ve reused it for this blog). For a while, I podcasted the show and it gained a decently sized following. This was fairly early in the history of the podcast, and I was putting out 2 hour long shows. At that point in time, there weren’t many other dudes uploading 2 hour long shows filled with crazy new music on a weekly basis. So I filled a niche. Ever since I stopped doing it, I get the occasional email or blog post asking if I’ll ever start the show up again. Well, today, this dude named Little Chris took it up a notch. He does a podcast devoted to music from the Midlands area of the UK. And he recently recorded a podcast that was inspired by the type of music I played on Ugly Music for Beautiful People. He even gives me a shoutout. And check the shoutout at about 3:30 in. I love hearing my name said with an English accent. 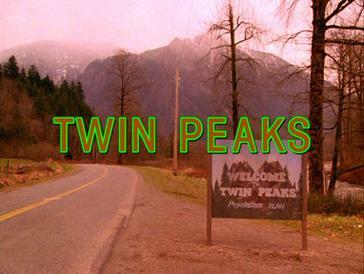 Back in January, I started watching David Lynch’s avant-garde soap opera Twin Peaks. The first season of it was incredible, some of the best TV I’ve ever seen. The second season started off strong, but fell off. The music of the show made a particularly strong impact on me, so I decided to make a DJ mix that used music from Angelo Badalamenti’s score as well as music that I thought shared thematic and stylistic similarities with Twin Peaks. This is the music site of a guy named Ed. I post things. I'm Ed. This blog is inactive, but I used to post DJ mixes here. 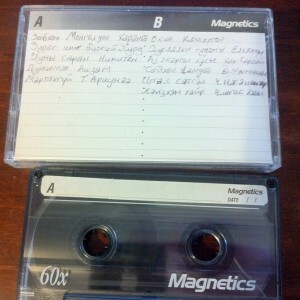 Before that, it was an mp3 blog, a record sharity blog and an archive of playlists of my college radio show. If you are the copyright holder of something I posted, and want it taken down, just email me at ed(dot)corcoran (at) gmail (dot) com.